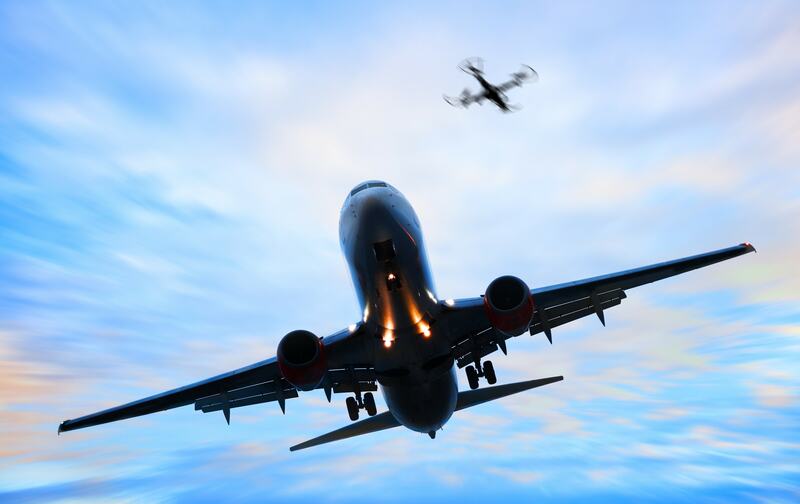 In the latest example of "what not to do with your drone," a drone pilot filmed an airliner landing at Las Vegas' McCarran International Airport earlier this month. As the video above from KTNV Channel 13 in Las Vegas explains, drones are not allowed to fly above 400 feet - and for good reason. There's simply too many aerial vehicles above that mark. But that didn't stop this drone pilot from exceeding that by a large margin. Drone experts believe it was flying at an altitude of at least 1,500 feet. The other problem is that flying a drone that near an airplane obviously increases the risk of a mid-air collision. Likewise, the transmission signals from the drone could interfere with systems on an airplane, leading to a potential disaster. Unfortunately, this isn't an isolated incident. As the video above by NeverMindYourOwn recounts, in 2017, a drone pilot filmed an airliner landing in Tel Aviv, Israel, from just 86 meters away. And that's not even the closest call between airplanes and drones. In 2016, a pilot landing at London Heathrow Airport reported that his aircraft was actually struck by a drone. In the video above, the Canadian Broadcasting Company recounts the incident, highlighting how incredibly dangerous - and stupid - it is to fly a drone anywhere near an airplane or an airport. Of course, in the United States, the Federal Aviation Administration watches over airspace surrounding airports, and in the latest Las Vegas incident, they are trying to determine who shot the video. Whoever it was is facing stiff penalties - up to a $1,437 fine from the FAA and up to a $250,000 federal criminal fine. On top of that, the drone pilot could face up to three years behind bars. Naturally, the moral of the story here is that flying a drone isn't something to take nonchalantly. 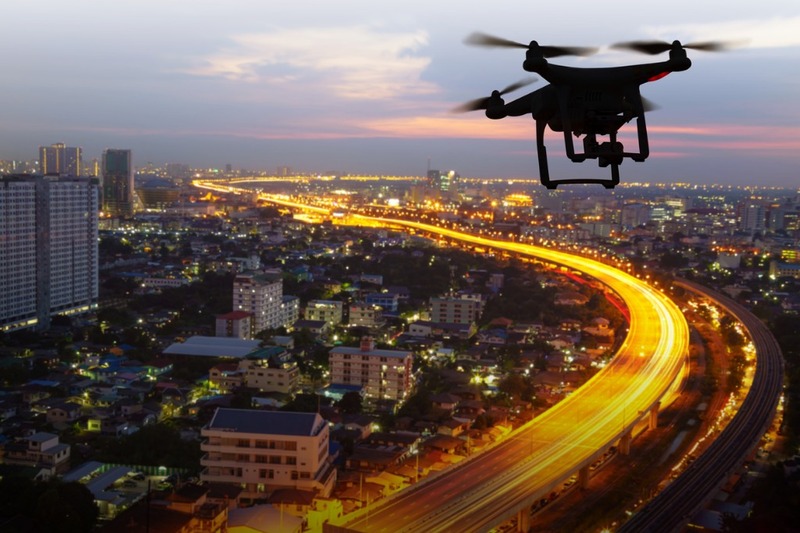 There are robust responsibilities when piloting a drone, which is why there are so many regulations governing their use. Be aware of airspace requirements and restrictions. Never fly near other aircraft or over groups of people. Never fly over stadiums, sporting events, or emergency response efforts. Never fly in national parks. These and other restrictions were written by the FAA, and as a drone pilot, it's incumbent upon you to know the rules of the air inside and out. That includes giving notice to airport operators and air traffic control towers if you'll be flying your drone within five miles of an airport. And, if it's a major airport with Class B airspace (like McCarran International in Las Vegas), flying a drone is prohibited without specific permission from air traffic control. The FAA also has special rules governing drone flights for certain areas called No Drone Zones. That includes the entirety of Washington, D.C., where pilots are required to get specific authorization to fly a drone from the FAA if flying within a 15-mile radius of Reagan National Airport. 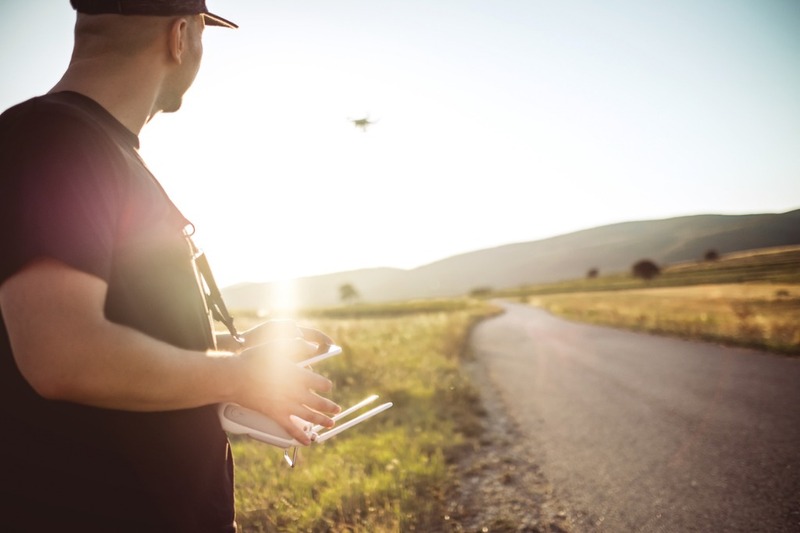 The FAA has an app for drone pilots that offers information regarding the specific flight requirements and restrictions at their current location. It's available on Google Play and the App Store directly from the FAA website, and makes it incredibly easy to know what you can and cannot do with your drone, so there's really no excuse to fly it in a dangerous manner. Be smart, be safe, and be courteous of how you handle your drone. A close-up shot of a plane full of passengers might look cool, but it isn't worth the danger it poses to the plane and its passengers. 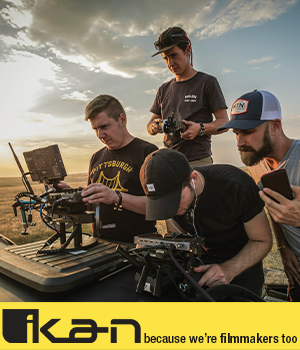 Get more details about rules and regulations that govern drone piloting at Know Before You Fly.